It only took ten days, but we were finally able to pick up the last pair of glasses we had ordered. And in doing so, we were officially free to head on down the road. So we said farewell to South Carolina as we crossed the border back into North Carolina. And now we are spending a couple of days in a cute little town in the Appalachian Mountains. We are only about 40 miles away from where we will be spending the summer, but since we are not scheduled to arrive at our RV park until Friday, we decided to do a little exploring. After we swung by Rob’s new place of employment so he could pick up the wet suit he had ordered, we set about scoping out the river he is going to be rafting. It is a nice looking river and I don’t think he is going to mind showing up or work four days a week, which is how many days the river is fed by the reservoir. The town is located in the mountains and is quiet right now, but once the rafting season begins, it will be thick with tourists and adventurers. 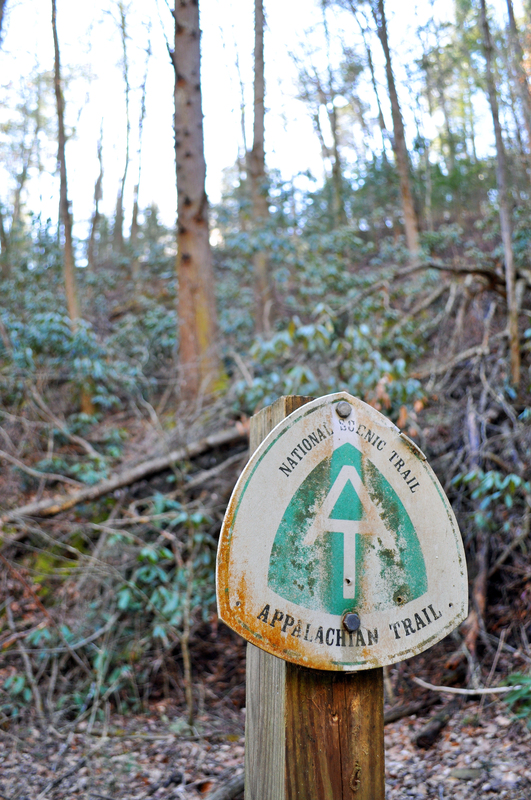 The Great Smoky Mountain National Park is right next door along with the Appalachian Trail. Completing the AT in its entirety is on our bucket list, so today we decided to get a little taste of it. Running from Springer Mountain in Georgia to Mount Katahdin in Maine, the 2,181 mile trail covers 14 states. In about five years, we hope to be among those who set out to complete the trail. Today, though, we enjoyed a very small piece of it. 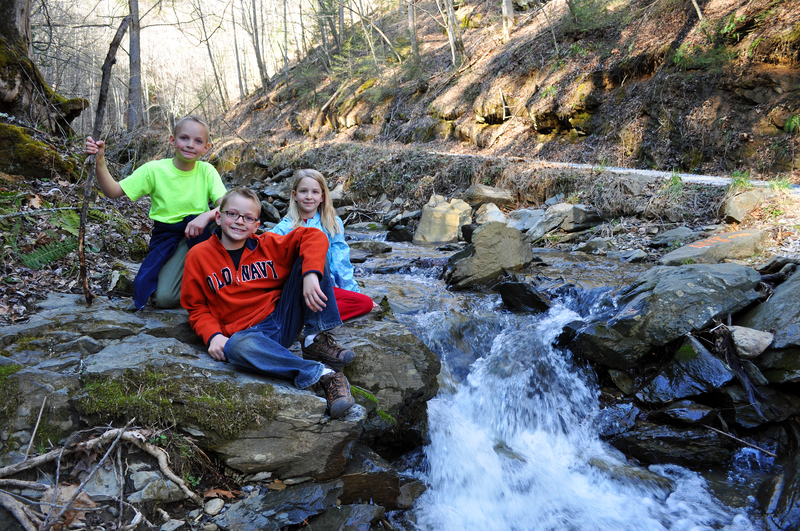 I am so grateful that our kids love being outside and in the woods. I have the feeling that a lot of our time this summer will be spent on the trail. And on the water. This entry was posted in Crazy Kids, Daily Life, Family Adventures, Random Thoughts, RV Life, Travel and tagged appalachian mountains, Appalachian Trail, North Carolina, rafting, RV life, smoky mountain national park, South Carolina, summer, Tennessee, travel. Bookmark the permalink. They really enjoy traveling. We see so many new things and they are learning so much! 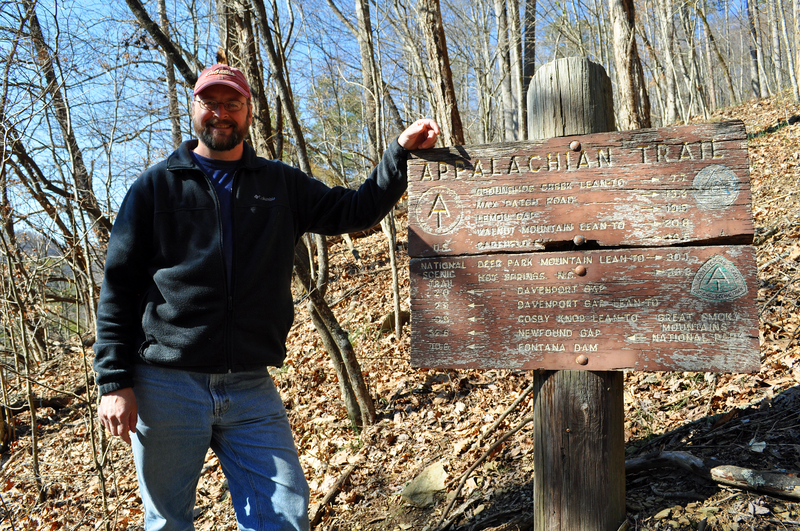 We are thinking about doing some volunteer work on the AT in the early part of next year. Most of the clearning work is stuff we could do, even the kids. Rob will definitely take you rafting when you come. We will have go to the National Park, too. Have you ever been there?? See you soon!!! Never made it to the park there. That would be nice. I have never been on a raft but I feel sure that I will be safe with Rob….all in my dreams! Have fun my friends, tread carefully, drive carefully and live with a spring in your heart!